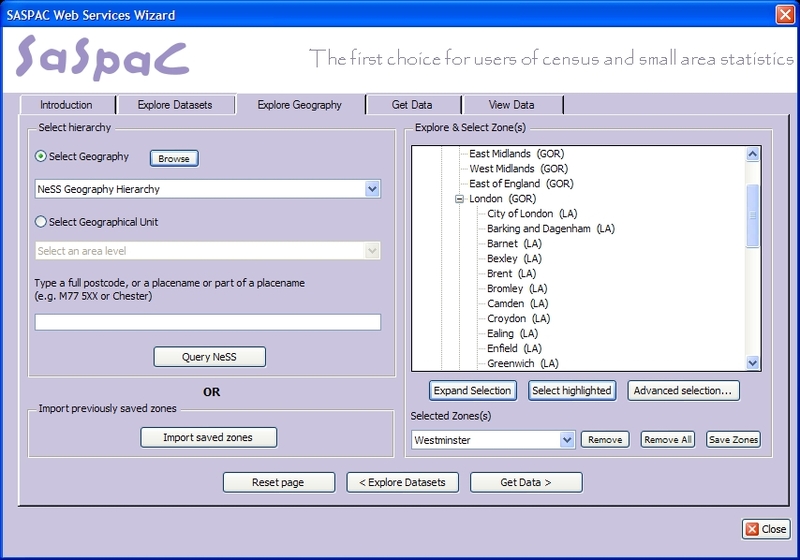 new Web Services Wizard application (provides ‘live’ access to query and retrieve data from ONS’ Neighbourhood Statistics website using the latest web technologies. See User Guidance Note GE-04 for more details). The Web Services Wizard (WSW) is a ‘proof of concept’ development and is the first time SASPAC has provided users with the ability to query and retrieve data directly through an online service. The data source in this case is the Neighbourhood Statistics Data Exchange service published by the ONS. 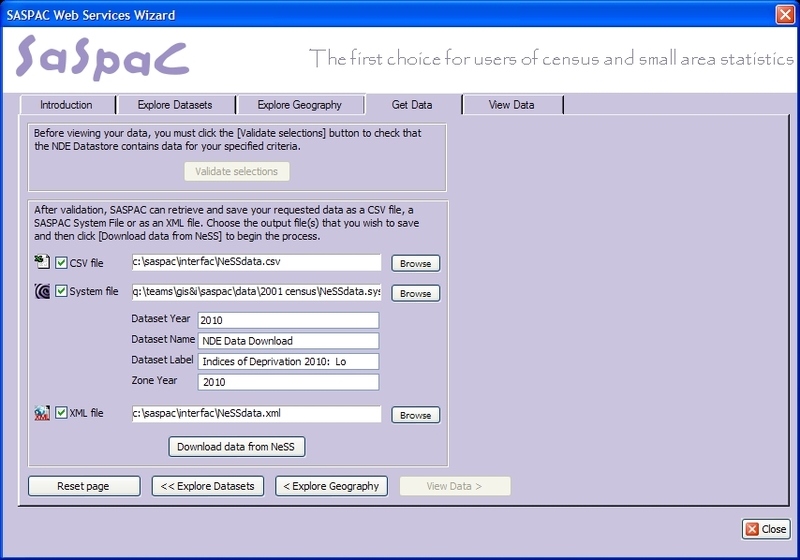 This wizard utilises the same technologies the Census Offices will be using to publish the 2011 Census results and SASPAC are currently building on this work to deliver a new 2011 Census application to our users. 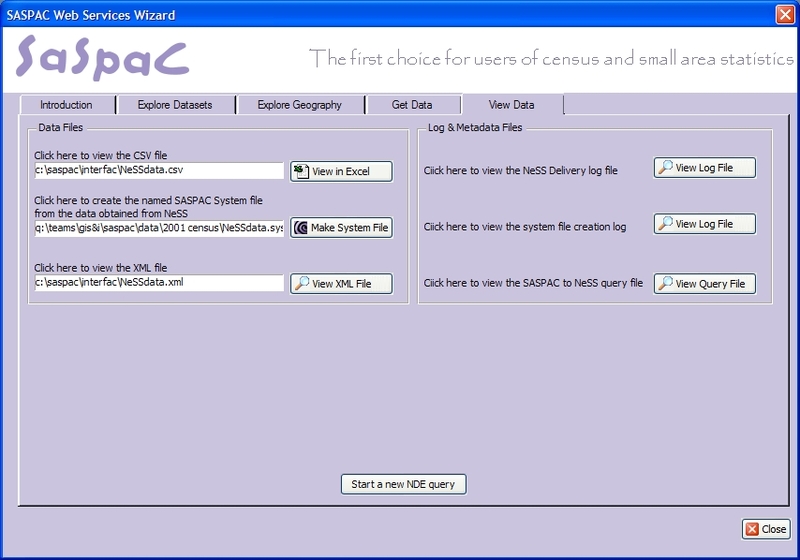 build SASPAC system files from NeSS data for access and utilising like any other dataset within the SASPAC application. View Data Tab: View data requested in Excel/XML or create a System file. 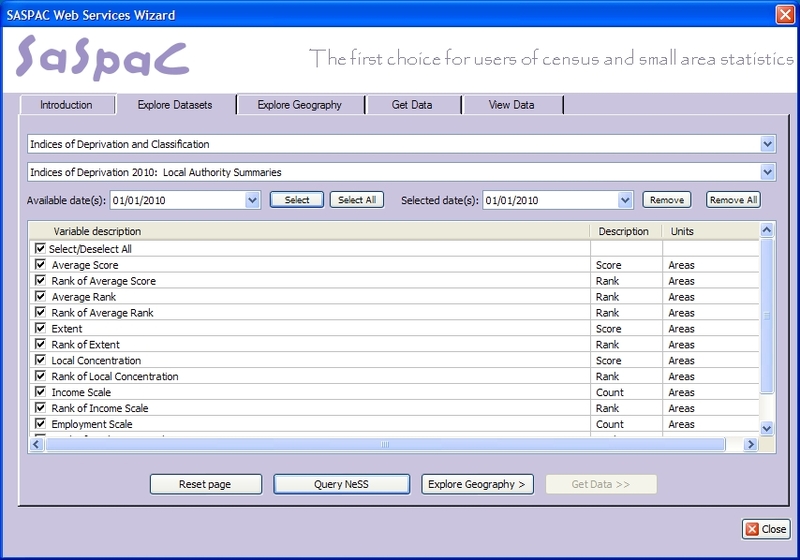 In preparation for the release of 2011 Census outputs the SASPAC team are undertaking a period of development to build a new user interface and data management system. We are keen to hear users’ comments/feedback as the development progresses and would encourage users to get in touch and register their interest.